“Nobody is coming to save us (from the Silicon Valley housing crisis)…We have to work together…We have to do it by being innovative.” The words of Patrick Schmitt, CEO/Chancellor of the West Valley-Mission Community College District echo an underlying theme of the 5/29/18 Forum at Del Mar High School. 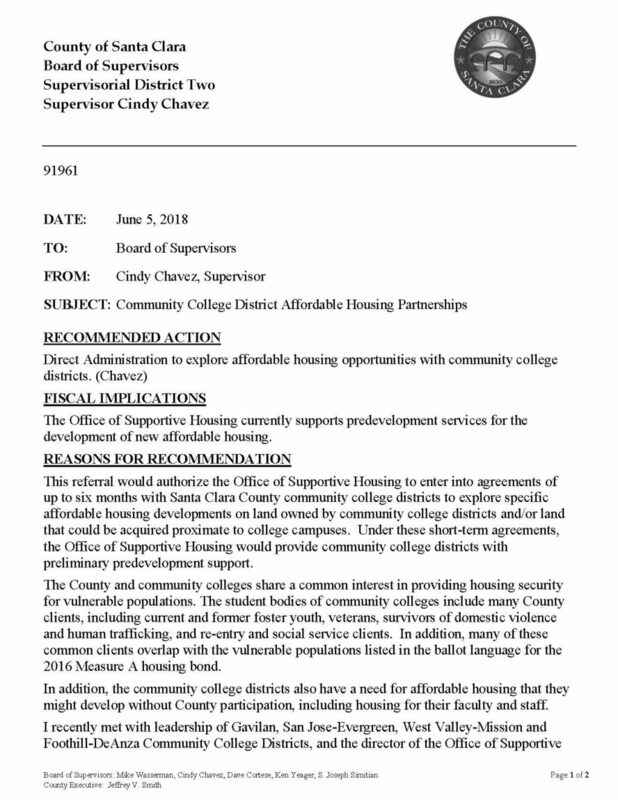 Supervisor Chavez’s proposal to direct the “Administration to explore affordable housing opportunities with community college districts,” passed on a 4-0 (Supervisor Yeager was absent) vote. The idea behind the proposal is that the County will be able to aid the community college districts in an area that is typically outside the Community College districts’ area of expertise. Ken Pyle, Vice President of the WNAC, but speaking on his own behalf, expressed his support for the proposal and asked for it to be extended to other K-12 school districts, as well as other federal, state and local public agencies. *An important footnote is that study did not include survey results from any Silicon Valley community colleges. As Dr. Budd indicated in her comment, given the high price of Silicon Valley housing, the rate of homelessness is likely to be higher in this former Valley of the Heart’s Delight.